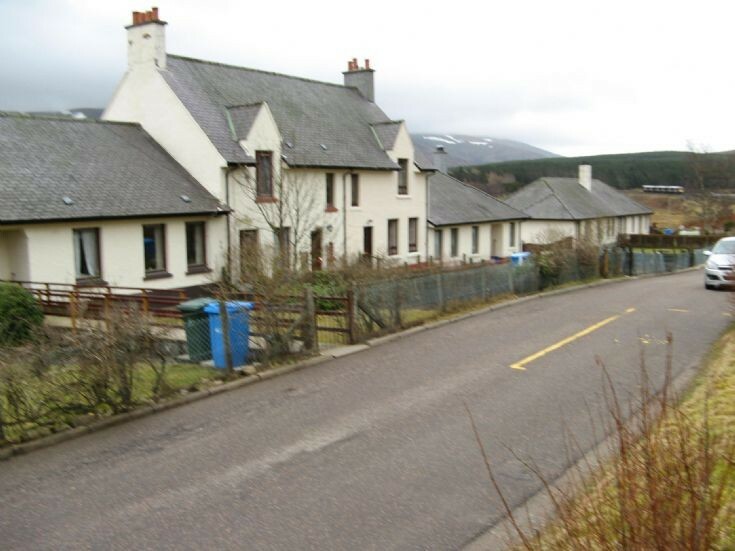 The row of houses on Ben Alder Road, taken on the 27th February 2012. The train is disappearing south in the background! Some of my relations live there. My parents lived in the house on the left from when my Dad retired from the distillery until they died (Mam in 1987, Dad in 1991). Jim Keiller lives there now. My mistake-must have been in a rush.Thanks James! Mary Christie is now in the Wade Centre,Kingussie.